Large public gatherings, like New Year's Eve celebrations, are also a prime target for pickpockets and other criminals who could steal your iPhone, or simply for it to be lost amid the festivities. AppleInsider offers some advice to keep your smartphone safe when you are ringing in the new year. 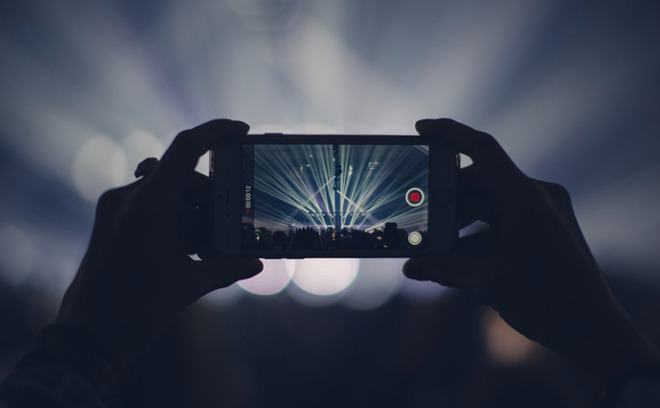 The first thing you should bear in mind before going out to a major event is to consider your iPhone to be the equivalent in value to a wallet, purse, or a set of keys. Aside from it being the conduit for Apple Pay transactions and your valuable social media accounts, the cost of the iPhone itself makes it a healthy target for thieves, regardless of any potentially accessible personal information. Since it is as valuable as most people's wallet, it's best to treat it as such. Stow it within internal pockets that are both concealed from others and can be further protected by a coat's zip or buttons. If by chance you don't have any pockets, and either have to carry around the iPhone itself or in a small bag or purse, see if someone else in your group could carry it for you, preferably in said internal pockets. If it's being held in a larger bag, don't put the iPhone on an easy-to-access external pocket, and if you have to put the bag down, keep it within your sight or, even better, your grasp. For those who have a case for their iPhone that also holds credit and debit cards in a folio section, consider not using it for the night. Separate the cards and cash from the iPhone and store them in different places on your person so that, if you do end up becoming the victim of pickpocketing, there's a better chance that only one will be taken, not both. If you have registered your cards to Apple Pay, it at least means there's a chance to pay for a ride home if the wallet is stolen. Keeping your iPhone secure on the software side is also an extremely important thing to do for such gatherings. Not only does it help prevent criminals from accessing your online life, but it also prevents mischievous friends in a house party from picking up your iPhone and doing "funny" things while you are getting another drink, such as taking photos of themselves and posting them to Instagram. Aside from the physical security advice, it is likely you are already well acquainted with using Touch ID and Face ID with your iPhone, depending on the model. Even that may be for naught, as while your device will ask to authenticate on waking up, it certainly won't do the same if you hand it over to someone for safe keeping without putting it into standby first. Even with the iPhone locked, there's still items that can be played with by "friends" when out of your view. 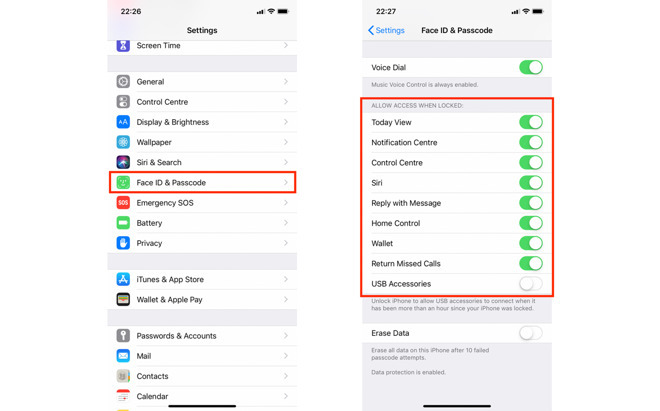 Head to the "Face ID & Passcode" or "Touch ID & Passcode" section of the Settings app, and you can turn off elements of your device that can be accessed without needing to unlock the iPhone beforehand, limiting the damage. Sadly, the camera widget on the lock screen cannot be removed, so you may still be greeted by a pile of unwanted photographs or video in the Photos app on your return. AppleInsider leaves it as an exercise to the reader to filter their friends in terms of trustworthiness. If your iPhone has gone missing due to theft, being left behind at a bar, or hidden by one of your "fun" friends who think it's a hilarious prank, one simple way to rediscover the device is through Apple's own online services. 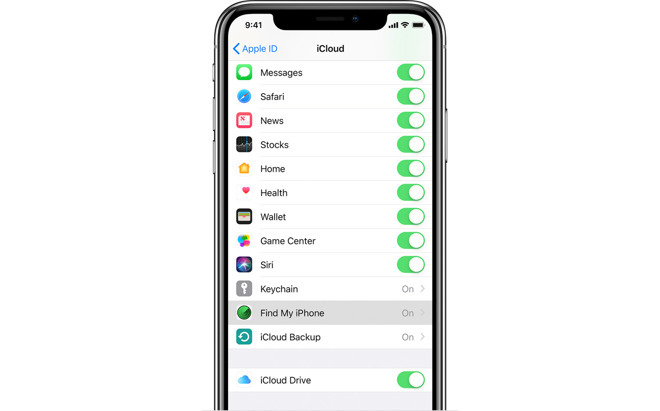 Find My iPhone is a really handy option if you have access to another iOS device or a browser, as you can log in using your iCloud credentials to see the last known location of all your Apple devices registered to the same iCloud account. You also have options to lock it down to prevent anyone from accessing it, to make it play a sound if you are close to its claimed location but cannot see the device, or to remotely wipe its onboard storage. To enable Find my iPhone, go to the Settings app and tap your name, then iCloud. Scroll down to Find my iPhone, tap it, then enable both the feature and the section marked "Send Last Location." As a bonus, if you have AirPods or an Apple Watch paired with your iPhone, they will also automatically be set up with the service. Note that, in the event of a theft, it is likely that the thief will turn the iPhone off at the earliest opportunity to prevent such recon efforts, but it may still catch opportunists who may not necessarily think of doing so. As a final point on theft, make a record of your iPhone's model, IMEI, and SIM number, along with any other relevant details, in case you need to advise the police or your insurer. If your main concern is the potential loss of your brand new iPhone above any other personal items, there's a simple question: Do you have to take it with you? There is always an option of simply leaving it at home. If you are with friends, there's a good chance others will have their smartphone with them, so there's almost always some line of communication available to you. If you must take a phone with you, think about taking an older device, especially if you recently upgraded to a new iPhone model. 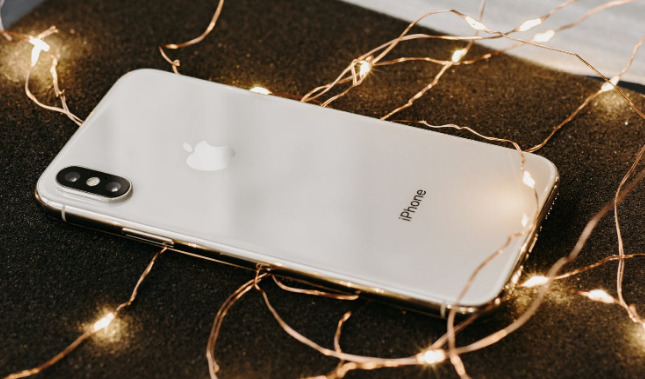 An older iPhone will provide calls and offer the majority of the functionality that you need, but in a form that is less of an issue if it is lost or stolen compared to an iPhone XS or an iPhone XR. For those who just want a phone line available to them and don't need things like a camera or apps, an extremely cheap alternative is to go on Amazon and acquire one of the many low-cost and basic phones for your next outing, with some acquirable for under $20. Underwhelming compared to the iPhone, sure, but it's less of an issue if it were to go missing. As a more extreme option, you could always spend New Years Eve at home, watching the ball drop on the TV while on a comfy sofa, fluffy slippers on and drink in hand. Sure, it's not a party atmosphere, but at least you won't have to deal with Uber's surge pricing. Happy New Year from AppleInsider.